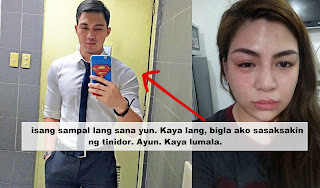 A story of not so good relationship between brother and sister heats the social media recently. 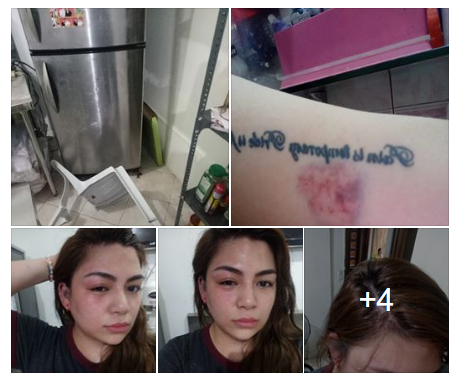 A woman named Lance Lim posted on her FB account her pictures showing her bruises she got from her older brother after their heated argument. 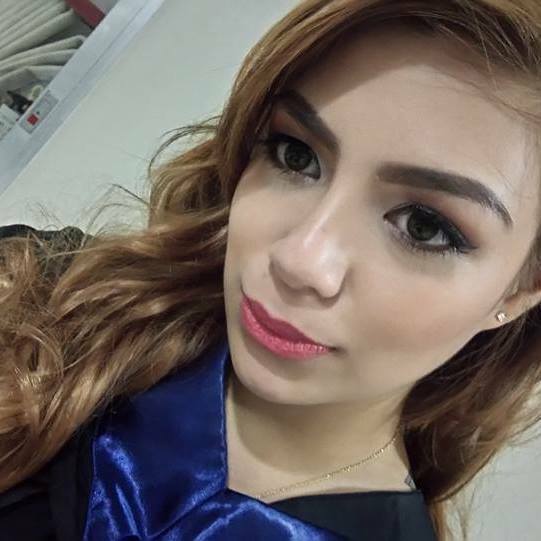 As her story went viral many netizens show disappointment towards her brother. 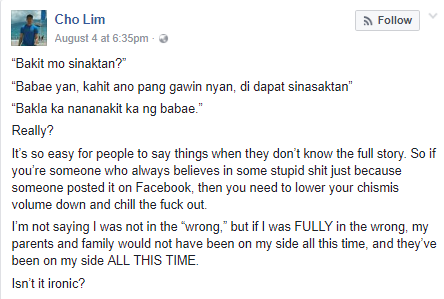 Her brother named Cho Lim receives lots of unwanted comments and judgments as if they really know the true story behind this. 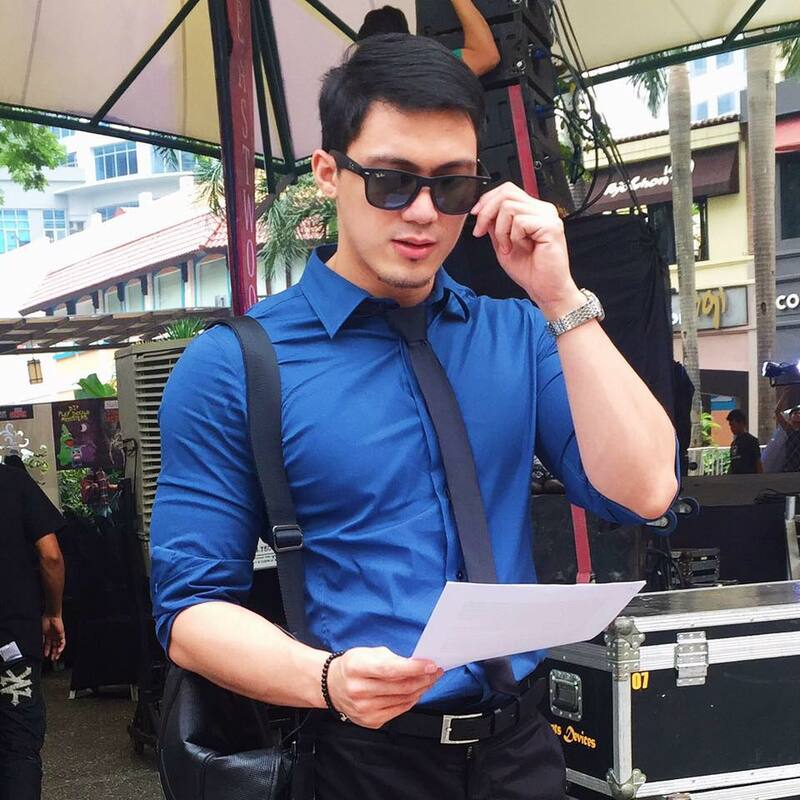 As Live Love Laugh follow the story, we found a recent post of this brother Cho Lim telling his other side of the story and explaining himself, PROFESSIONALLY. 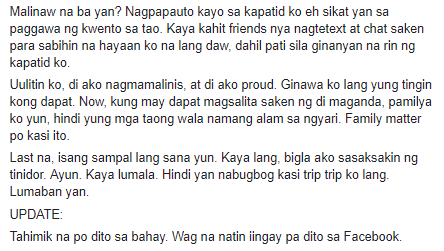 'Don't judge people if you don't know the real story. Before you act/judge.. Think of it.. 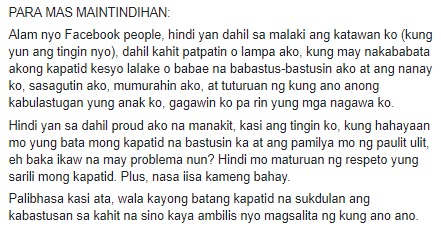 Mind your own business.. Everythings will gonna be OK..
For This family matters, we believe is not for others to judge one sided. We look for the other side of the story to make it fair. 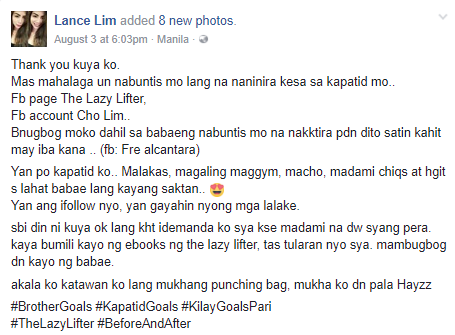 After reading this kuya's post, what can you say? LLL is open for follow up explanation either both sides. We hope this sibling will find their ways to fix any broken pieces.